Every once in a while a band comes along that changes everything for you. The way you think, feel, and experience the world is altered. You remember where you were the first time you heard them, what you were doing the first time you fell in love with them, and anticipate when the next magic-filled encounter might be. Five years ago, the Avett Brothers transcended everything in my life to be one of my most unlikely favorites, changing the way I experience songwriting, music, and life in general. Their genuine approach to life and music shine through in their challenging highly-anticipated release, The Carpenter. Three years after their first monster major label release, I and Love and You, contributed to the influx of Americana into adult contemporary music, the Brothers have teamed up with Rick Rubin for a second time while further refining their purposefully unrefined sound with a world-class producer. What I and Love and You lacked in the rawness and organic nature of previous Avett releases, The Carpenter makes up for with tunes that combine genuine lyrics steeped with themes of death and mortality, sneaking in a louder sound that pokes through from their old punk days. Scott and Seth Avett anchor their music in simple, genuine songwriting that hits your core without pulling punches. The Carpenter might be the most challenging collection of lyrics to date, written during bassist Bob Crawford’s two-and-a-half year-old daughter’s battle with cancer. Hallie’s battle brought the band together more as a family (and we know how these guys feel about family; see “Salvation Song”), facilitating a space for emotion to pour out and the delicate balance of life and death to be evaluated in song. Tunes like “Winter in My Heart” bring a feeling of desperation to life (“It must be winter in my heart / there’s nothing warm in there at all”) while later tracks like “A Father’s First Spring” bring songs of life, redemption, and the simplest of answers (singing of birth, “The realest thing I ever felt / was the blood on the floor and the love in your yell”). The Carpenter kicks off with two of my personal favorite Avett tunes; “The Once and Future Carpenter” and the first single, “Live and Die”. “Carpenter” is a classic Scott Avett-led tune about life on the road that will be well-received by longtime fans. Scott’s ability to bring feelings to life through song (“And now I spend my days in search of a woman we called purpose / And if I ever pass back through her town I’ll stay”) can only be matched by his brother, Seth, who takes the lead on the catchy, upbeat single, “Live and Die”. This track was released in June as the first recorded taste of The Carpenter and spent a significant amount of time on repeat in my ears. Seth sings about using love to push through conflict and the idea of people not being much different from one another. This general sentiment has been seen day-in and day-out from a band that has spent time greeting everyone waiting by their tour bus at the end of every show. 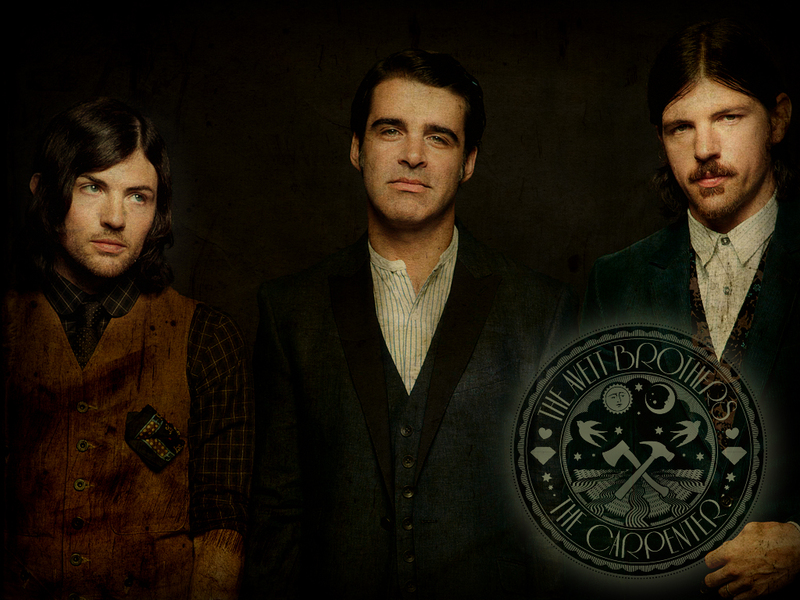 What will stand out to old school Avett fans are the subtleties that prove the Avetts’ comfort with writing songs for a greater production scale. Tunes that have been played on the road for a few years that are finally making it onto albums (“Down With the Shine”, “Pretty Girl from Michigan (aka Telling Time)”) have been produced with detail that flows with precision from the stage into the studio. “Michigan” is loaded with electric guitar that was not commonly found on the stage upon first performance, yet the development of this tune found a very natural adaptation into a powerfully pacing rock tune on the album. I couldn’t quite put my finger on what seemed imperfect about some of the louder tunes on I and Love and You until I realized these transitory details that the Avett Brothers greatly refined for The Carpenter. It’s always nerve-racking to prepare one’s spirit for the newest release from an all-time favorite because you never know what to expect. As has been the case with the Avett Brothers, most bands see an evolution and change in the way they use music to convey their emotions. Tunes will be constructed and produced differently and, as bands become more popular their sound may change to one that the major label sees as more attractive to the mainstream audience. The Carpenter does a masterful job of following-up a widely popular release with tunes that will catch the audience while also combining the old genuine realness that the Avett Brothers have displayed on-stage and off-, whether it’s been in a huge arena in Chicago today or a small North Carolina bar ten years ago. If anyone were to question if the Avett Brothers have changed, The Carpenter proves that they’ve evolved for the better while maintaining the hospitable, family-focused, southern demeanor they’ve had from birth.